There are tons of styles to choose from when it comes to Ornamental fences. With varied heights, styles, colors, and finials you can create a unique look that will definitely make your property pop! Reach out to us to get a more narrow focus on what you are looking for. Below are the two examples that we have in our Outdoor Showroom. 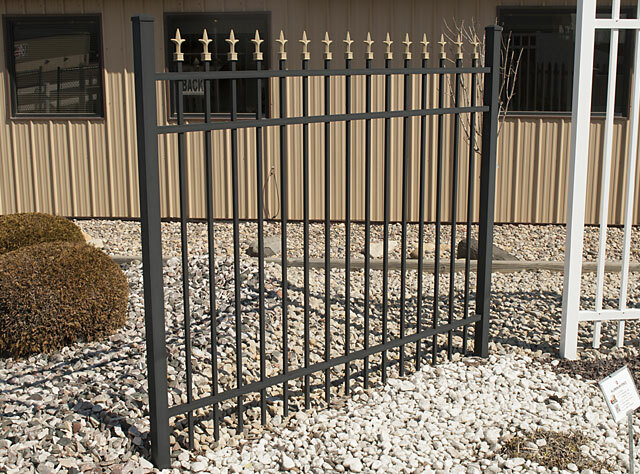 Aluminum Fence provides the strength of steel with the maintenance-free ease of aluminum. The modern design features a smooth rail on top rather than exposed picket points. The 6 foot sections come in black, white or bronze and heights of 4, 5, 6, 7 and 8 feet. 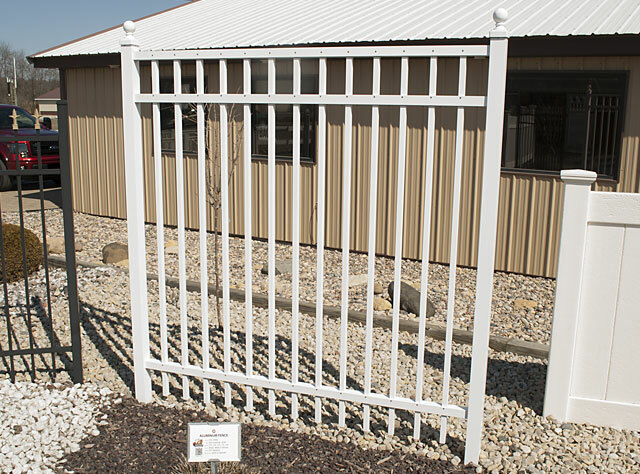 Heights: 4 ft., 5 ft., 6 ft., 7 ft., 8 ft.
Aluminum Fence provides the strength of steel with the maintenance-free ease of aluminum. The tradition wrought iron design features picket points even across the top section. The 6 foot sections come in black, white or bronze and heights of 3, 3 ½, 4, 5 and 6 feet. Heights: 3 ft., 3 ½ ft., 4 ft., 5 ft., 6 ft.